The energy market is admittedly quite daunting and confusing, putting many Aussies off regularly comparing their electricity and gas contracts. However, understanding your energy bill is important for finding the best deal, so in this guide, Canstar Blue walks you through energy tariffs, charges, contracts and everything else you need to know to start comparing providers. In a nutshell, households and small businesses sign up to a contract with a retailer. Depending on the type of meter on the premise, the customer will also need to select from a range of ‘tariffs’. There are a number of different contracts and tariffs available, but whichever you choose, remember to always read the terms and conditions before you sign. Let’s start by looking at the two types of energy contracts. All electricity and gas retailers must include government regulated energy contracts as part of their product range. When it comes to gas, these contracts will be known as either regulated or standard contracts. In the case of electricity, they are simply known as standard contracts. The terms, conditions and charges with regulated offers are monitored by the respective state government. Regulated plans are designed to give customers in these areas a reliable and simple energy deal. There are fewer regulations attached to standard contracts, with prices set by the retailers, but there are still basic conditions set out in legislation. Customers may alternatively choose a market offer contract. With market offers, energy retailers are free to set their own prices, contract lengths and conditions, and will often include incentives and discounts to encourage new customers to sign up. Canstar Blue found that market offers often provide better value than standing offers after comparing electricity prices across SA, Vic, NSW and Qld. That said, market offers can be slightly convoluted, increasing the risk of getting caught in a bad deal. When comparing market offers, be sure to check the fine print in the retailer’s energy price fact sheets. Fixed charge: This is usually referred to as a ‘daily supply’ or ‘service to property’ charge. 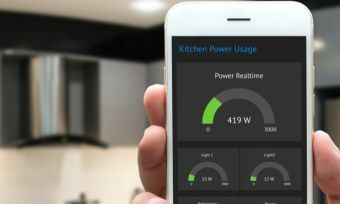 As long as your home is connected to an energy distribution network, you will pay a price in cents per day, regardless of your energy use. Variable charge: This is commonly known as a ‘usage’ or ‘consumption’ charge. It is the amount you pay for each unit of gas or electricity consumed, usually listed as cents per kilowatt hour (c/kWh) for electricity use and cents per megajoule (c/MJ) for gas. In the context of energy, a tariff specifically refers to how you are charged for electricity or gas usage (the variable part of your bill). For example, customers may be charged different rates depending on the season or time of day that power is used. Alternatively, a different rate may apply for each ‘block’ of electricity or gas usage during reach day. It could be the first block of electricity or gas you use each day starts at a low price, and increases with each additional block. It could also be the other way around, with energy prices falling the more you use. Single rate: The same rate on energy usage applies at all times. It is also known as peak, demand, standard or flat rate. Time of use and flexible pricing: A different usage rate is charged depending on the time of day. Electricity is most expensive on weekdays in the afternoon and during the early evening, and cheapest late at night and early in the morning. Block rate: The price of electricity or gas increases or decreases with each daily or quarterly ‘block’ of energy usage. This is the only tariff available for gas customers. Controlled load: A large household appliance (usually the hot water system) is metered separately from the rest of the property. The price of electricity is much lower for controlled load appliances, but electricity will only be supplied during off-peak hours. Feed-in tariff: Customers with solar panels will receive a small credit for each kWh of electricity their solar system exports to the electricity grid. Keep in mind that some tariffs won’t be available across all states or through every energy retailer. Customers also require compatible a meter for particular tariffs. For a more localised overview of what electricity tariffs might be available to you, check out the below guides. An establishment fee for setting up your contract. An exit fee for cancelling your contract. A payment processing fee, usually if you pay by credit card. A rejected payment fee if you have insufficient funds in your bank account when a direct debit payment is due. A late payment fee if you don’t pay your bill on time. Market contracts with discounts include a ‘benefit period’, usually between 12 months and 2 years, depending on the offer. However, some retailers do offer ongoing discounts for the life of your agreement. Once this benefit period expires, customers stop receiving their discount and are automatically charged the higher, non-discounted rate for power. It’s unfortunately quite common for consumers to mistakenly believe they still receive a discount on energy usage. For this reason, it’s important you frequently review your electricity and gas contracts. If your benefit period has expired, but you don’t want to switch energy companies, contact your retailer and asked to be treated as new customer, once again getting the discount. While you’re here, why not take the time to compare energy plans in your area. Follow the links below to compare the cheapest deals on our database. To comply with National Energy Retail Law, energy retailers are required to publish energy price fact sheets on their websites for each of their gas and electricity offers. Energy price fact sheets are essentially the contract you make with your retailer – all the fine print and hidden fees must be disclosed in the energy price fact sheet, so it’s important you thoroughly read through this document before signing anything. While it’s a legal requirement to post energy price fact sheets, some energy companies make them a little tricky to find. If the price fact sheets aren’t listed in the offers section of the retailer’s website, there is often a small link at the bottom of the page. When comparing retailers, it’s best to directly compare the price fact sheets and avoid getting caught up in the gimmicky promotions. Keep these tips in mind, and you’re on your way to finding a great energy deal. Good luck!